Wonder Girls are rumored to return in either July or August with members Sunmi & Sunye. JYP Entertainment has now issued a statement regarding the rumors. On June 23rd, JYP Entertainment told Star News, “Nothing has been decided regarding Wonder Girls' comeback. Sunye returned for a personal event. 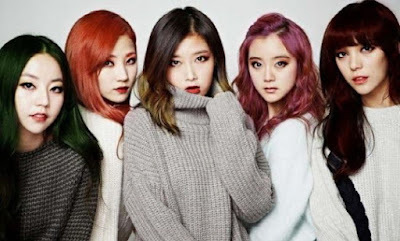 It was not to prepare for Wonder Girls' comeback". Sunye was previously in South Korea, attending her friend's wedding with Jo Kwon from 2AM, Min, and more. Previous rumors placed the group's comeback in either July or August. The rumors further stated they were going to film a music video and otherwise prepare for a comeback. The songs for the upcoming release was allegedly already finished as well. Of course, rumors have been circulating for a long time now, making these seem not likely to be true.